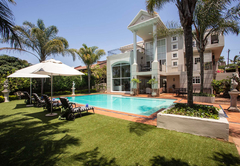 Valdior is one of the Umhlanga Rocks guest houses and provides accommodation in 6 guest rooms for tourists visiting the Umhlanga Coast region. 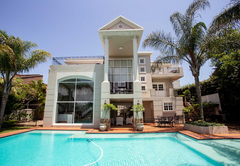 Valdior offers luxury accommodation in the popular holiday town of Umhlanga Rocks. 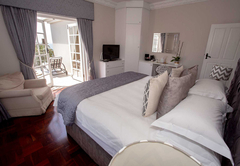 When staying at Valdior you are only a short walk from the beach, shops, night life and bars. 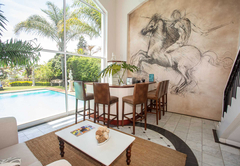 There are golf courses close by, uShaka Marine World is only 10 minutes away and Durban Central and the airport are just 15 minutes drive from Valdior. 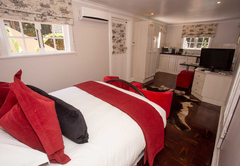 Each room boasts Charlotte Rhys toiletries, a flat screen TV, DStv, DVD player, fridge, tea & coffee making facilities, air-con, fan, Wi-Fi, a hairdryer and a safe. 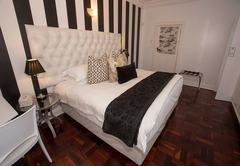 This room is situated on the ground floor and is tastefully decorated in a striking black and white theme. 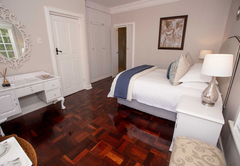 The room has a king size bed or twin beds if preferred and an en-suite bathroom with a shower. 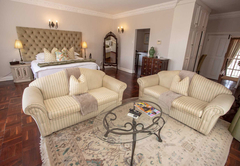 This room is situated on the ground floor and is taste fully decorated in creams. 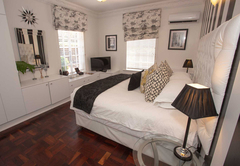 The room has a queen size bed and an en-suite bathroom with a shower. 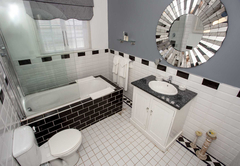 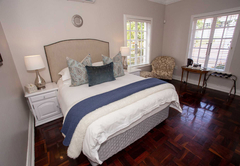 This second floor luxury suite has a king size bed or twin beds if preferred and an en-suite bathroom with a shower. 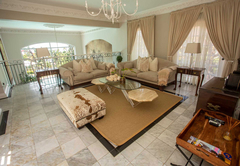 There is a separate kitchen, lounge, desk and a private verandah with sea views. 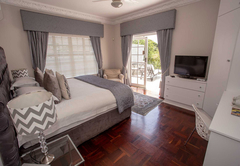 This second floor room is tastefully decorated and has a queen size bed, a desk and an en-suite bathroom with a bath and a shower. 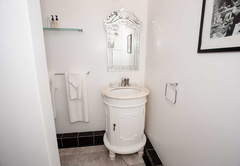 Situated on the second floor, this room is tastefully decorated in greys and crystals. 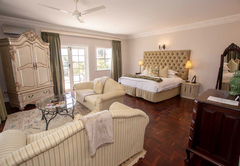 There is a king size bed or twin beds if preferred. 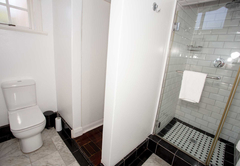 There is a separate bathroom and a private verandah with a sea view. 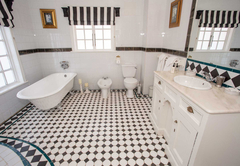 This is a lovely garden suite with a queen size bed and an en-suite bathroom with a shower. 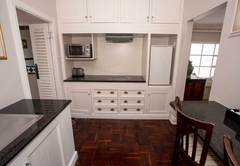 There is a kitchenette and the unit has its own entrance off the garden and pool area. 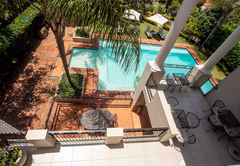 There is a lovely swimming pool, garden communal lounge area and a bar available for your use. 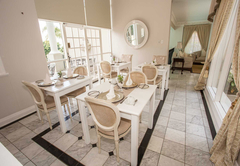 Breakfast is served each morning and you are five minutes away from the village where you will find lovely coffee shops and restaurants for lunch and dinner. 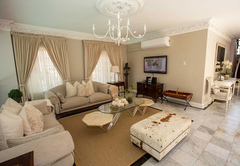 Garden suite with kitchenette, Own Entrance off the garden and pool. 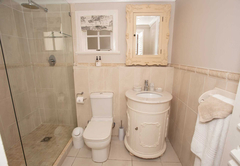 Ensuite shower with towels & Charlotte Rhys toiletries. 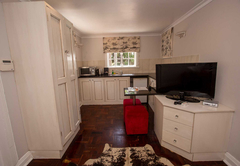 Plasma,safe,aircon/heater,fridge,Kitchen ammenities,wifi, Hairdryer outside area with seating. 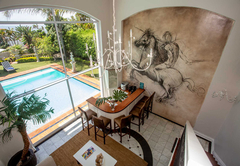 Response timeValdior typically responds to requests in 5-10 minutes.